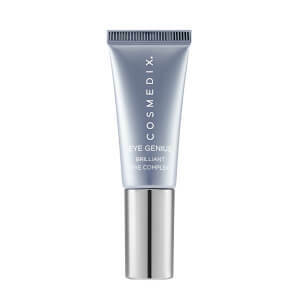 It softens my eye area with the silky dewy serum for night use only! When it comes to eye creams there are a million on the market, all of which claim to be able to perform small miracles. This is the only one that actually does. After using this I noticed immediate, visible reduction in fine lines and wrinkles. You only need the tiniest bit so one bottle should last you 6 months or more. Love, love, love it! The best serum for eyes out there.. you need very little ..it goes a long way and I use it on my upper lip too.. I am never leaving this product again! I have tried other eye serums but always come back to this eye serum.. It is absolutely the best for fine lines and wrinkles. And you need a pin point so it lasts a long time.. Love it!! This is my favorite eye product of all time. I have swayed from time to time, but always come back to this because it is the best eye product out there in my opinion. I use it morning and evening and feel it wears really well under concealer, just give it about five minutes to sink in a bit before applying makeup. This serum has been very effective on repairing my eye areas damaged by years of allergies. It is indeed expensive though! Worth every penny. One jar last me 4-5 months. Do not press a full pump. It only takes a half pea size on the tip of ring finger, dab lightly under eyes and the rest on the lips. AMAZING! MY FAV EYE CREAM !! Finally an eye cream that I actually guard with my life !! I can not tell u how much I love this eye cream - its the best ! CosMedix has a cult following and this is the one product I always hear about. Rorberta even suggested I try. It is really an eye serum and sticky so I only use at night. It is a blueish purple color that goes on clear. It is easy to pump to much out and if you do which I did it can be used on dry lips. It is great for mature skin as it is full of moisture and in the morning you awake to softer looking wrinkles and no dry skin. Great product to have with winter around the corner. The serum is gentle and easy to apply as you just pat on skin,no rubbing in.